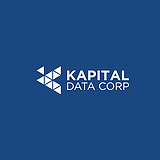 Kapital Data Corp is building a new capability – we are calling it simply: “Solutions Group”. We expect this Solutions Group to be a small group of talented professionals creating a set of capabilities so that we can enable our clients to reimagine their enterprise software application by leveraging the power of automation. We are looking for a digital marketing associate who will single-handedly be responsible for creating the buzz. This is a contract position based in India (Vizag or Bangalore).